Lok Sabha Elections 2019: An angry Dilip Ghosh said: "Had it been done in my presence, I would have removed the trousers of the poll official". 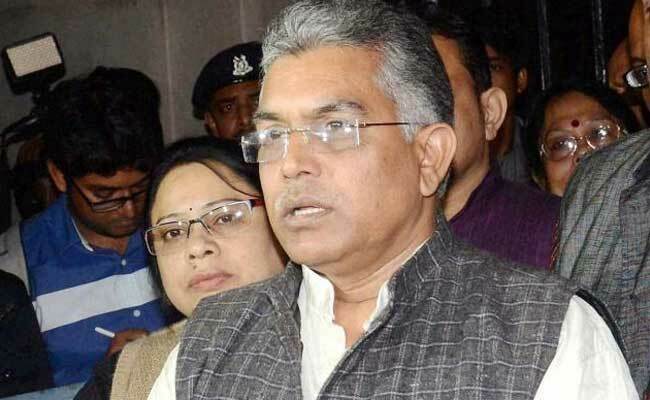 The Election Commission has slapped a show cause notice on West Bengal's BJP chief and Lok Sabha candidate Dilip Ghosh for threatening to take off the trousers of a poll panel official who had removed a Ram Navami hoarding containing his poster. "We have taken notice of his comment. He has been served a show cause notice," an Election Commission official told reporters in Kolkata. The Election Commission officials had taken off the hoarding as it was "put up in violation of the Model Code of Conduct". An angry Mr Ghosh, then said: "Had it been done in my presence, I would have removed the trousers of the poll official".